Families of persons with schizophrenia have gone to the depths of sufferings, making their lives an endless battlefield of balancing the state of normalcy and the chaotic environment of their loved one stricken with such sickness. Numerous research has been accomplished and presented to study the effects of schizophrenia on the part of the families, how they are coping, what coping mechanisms they use, and the impact of the mental illness to the family at large. Several years ago, a review of several research studies was conducted to determine family responses and learn the emotional environment of families having a member with schizophrenia. The collection of data was done by interviewing family members and the person using structured interviews, questionnaires, and rating scales. The results of the studies revealed that families are continuously living with ambiguity, sacrifice on the part of mothers, loss, and misunderstanding. There is also the changing of family roles and disruption of routines in the household brought about by the mental illness of a family member. The experience of the family extends to psychological distress, problems with the legal system, and social support needs. The family members could speak of the most pressing problems they encounter such as getting embarrassed in public due to the erratic and unacceptable behaviors of their family member. The symptoms of hallucinations, delusions, negative symptoms and side effects of medications were also raised. Fathers have conveyed ambivalence towards future care and concerns about the financial aspect. 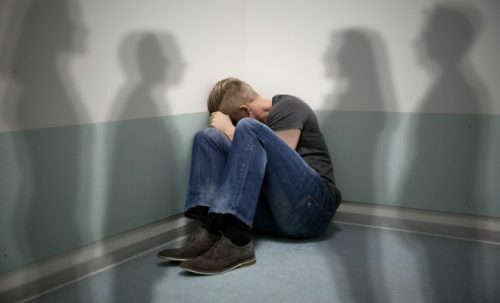 The overall impact of schizophrenia to some families have resulted for some members to develop alcoholism, substance abuse, and mood disorders as well. Several studies in the United Kingdom showed that families are more accepting of the plight of their situation. They believed that with useful coping mechanisms, less burden is obtained in the family system and the person with schizophrenia can have better social functions. Those families who do not adhere and practice to positive coping styles have resulted in disorganized daily functioning, felt more stress, and gets overwhelmed with the many stressors that they are facing. Caregivers, in turn, have developed more medical issues due to emotional and psychological distress. Social discrimination was highlighted in the studies in Germany. Surprisingly, families have negative views on psychiatrists as they are considered as the source of stigma. Families are resolved to the fact that there would be rehospitalization of their family members, and this would lead to many problems in the future. The issue of disenfranchisement is the standard issue in parents. When the child with schizophrenia turns into an adult, parents are removed from their rights to take care and assume parental rights. This event leads to significant stress, guilt feelings, grief, and even physical illness. Just like any medical condition, families are involved in the care of their family members. In mental illness, there can be some slight variations because of the nature of the diagnoses and the stigma that still surrounds it. Even families are pulled into the chasm of its ill-effects. Public humiliation, social discrimination, changing of roles in the family that leads to family dysfunction are all effects of having a family member with schizophrenia. Family education, on realistic and accurate conditions, should be provided. False reassurances should not be practiced as the mental illness has tendencies of relapsing and can be chronic in the long run. Emotional support to the family members is of primal importance. Caregivers should be given a time-out and attention to their physical needs and medical concerns. Lastly, refer family members to support groups and associations that are responsible for taking care of their positions.